Monika Weiss’ Koiman II: Years Without Summers (Nocturne 1, 2 & 3) is a 3-channel digital film & sound installation. 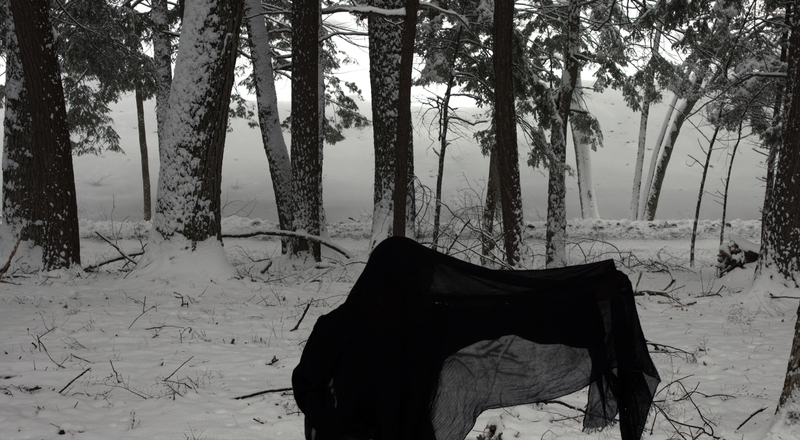 Inspired by Franz Schubert’s Winterreise (1828) the installation showcases the first three from the planned 24 films and sound compositions by the artist. In September 2018 the entire project will premiere at Silas Von Morisse Gallery, NY. 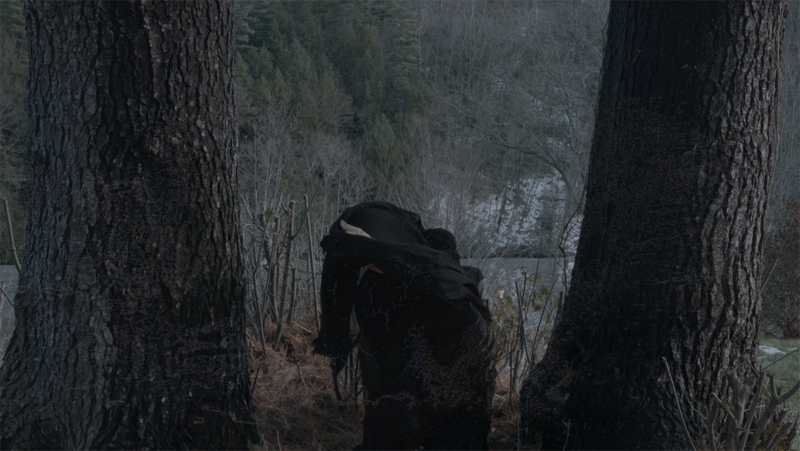 Weiss is a New York-based artist, filmmaker and composer who received a Harvestworks scholarship award in 2017 to support the audio production for this project. Koiman II – Years Without Summers (24 Nocturnes) is a series of 24 film projections, 24 sound compositions, and 24 large-scale charcoal and graphite drawings inspired by Winterreise (Winter Journey), a cycle of 24 songs for voice and piano composed in 1828 by the German Romantic composer Franz Schubert. It is dedicated to the artist’s late mother, pianist Gabriela Weiss, who passed away in April 2017, and to current refugees and migrants around the world. 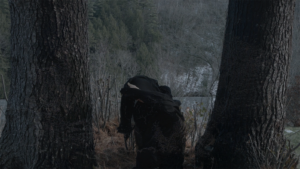 Each film portrays an anonymous female protagonist performing silent, almost motionless gestures of lamentation, set against dark landscapes of wintery forests and abandoned urban areas. The choreography of movement, slow motion and superimposition are characteristic of Koiman II series. Concurrently, Weiss writes music for each film and works with opera vocalists to perform/record her musical compositions, which she later edits in digital format. Following the eruption of volcano Tambora, Indonesia in 1815, the spreading ash cloud cooled global temperatures by reflecting and scattering sunlight and impacted weather patterns in Europe and in the northeastern United States. Rain, frost and snowfall occurred throughout the summer of 1816, often described as the “year without summer,” causing agricultural disaster, famine and migration. Scholarly research suggests that severe weather may have inspired works by a number of artists, poets and composers of the time, including Schubert and Turner. The accounts by travellers who were at sea following the Tambora explosion, describe darkness during the day, making it impossible “to see your hand outstretched.” In Weiss’ Koiman II, this darkness is a metaphor for how our culture and civilization today cannot truly see its own future, past “the hand stretched”. “Two hundred years later the world appears to me as if shrouded in a symbolic ash cloud resulting from the global climate change, the collapse of Arab Spring, the current refugee crisis and the gradual and global move towards fascist ideologies. My project Koiman II is meant to evoke this notion of darkness, eruption, explosion, coldness and clouding, and is greatly affected by global conditions—such as displacement, violation and exploitation of bodies of others—which mirror the abuse and gradual disintegration of the natural environment resulting from colonial agendas.” – says Weiss. For Koiman II, the artist composes 24 songs (without words) for voice, as a musical response to each song in Schubert’s Winterreise, to be recorded by an opera vocalist. She will also record her own piano improvisations in response to each of Schubert’s songs. She will work with volunteers whom she will ask to read passages from literature and poetry in various languages as well to read the memoires by the survivors of the volcano eruption, and speak their own thoughts inspired by my project. She will digitally mix and alter those layers of sound into new polyphonic whole. 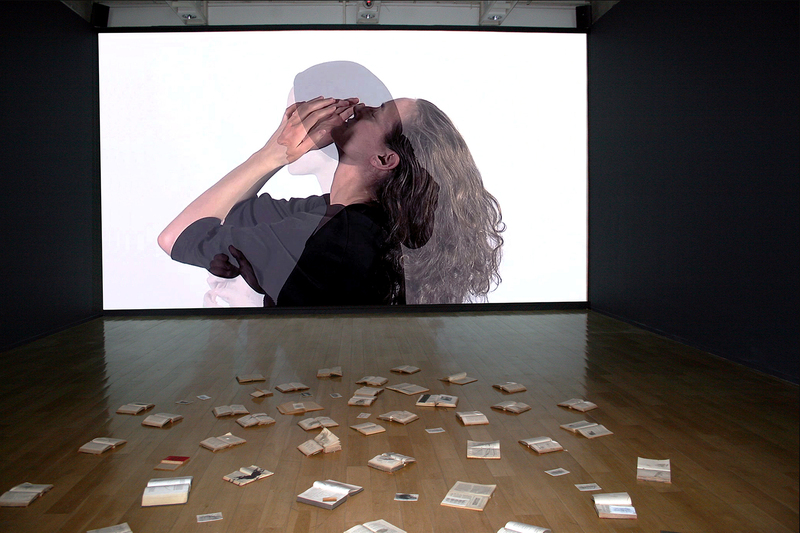 As in her filmmaking technique, in Weiss’ musical composition for this project, she reverses and alters certain fragments of sound to articulate suspended and non-linear time. This work is dedicated to my late mother, pianist Gabriela Weiss who passed away in April 2017, and to all currently displaced refuges and migrants trying to find shelter. As a child I spent hours listening to her practicing Chopin’s Nocturnes. Forever scarred by the war, as a little child refugee in her mother’s arms, my mother barely escaped a hunt that both Soviet and German occupants systematically exercised in Europe. Monika Weiss is an artist, filmmaker and composer based in New York City since 2001. Weiss’ work is currently represented by Silas Von Morrise Gallery, New York and Galerie Samuel Lalouz, Montreal and featured in pubic collections and publications worldwide. Born in Warsaw, Poland she graduated from Warsaw School of Music and Warsaw Academy of Fine Arts. Her solo museum exhibitions include the 2005 retrospective at the Lehman College Art Gallery/CUNY, Five Rivers, reviewed in The New York Times, as well as Sustenazo, commissioned by the CCA Zamek Ujazdowski, Warsaw/Poland (2010), and later shown at Museum of Memory & Human Rights, Santiago/Chile (2012-2013) and Patricia & Phillip Frost Art Museum, Miami (2014). Her work has been featured in international group exhibitions, including at the Cisneros Fontanals Art Foundation, Miami (Forms of Classification, 2006; The Prisoner’s Dilemma, 2008) and was part of Prague’s Muzeum Montanelli’s inaugural show in 2010. Commissioned by The Drawing Center, her public project Drawing Lethe (2006) took place at the WFC Winter Garden within sight of Ground Zero. 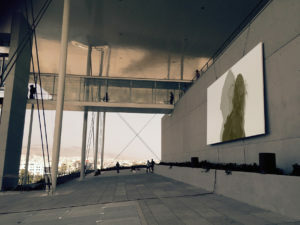 for at The Stavros Niarchos Foundation Cultural Center in Athens, Greece. Monika Weiss Wrath (2015) View of the exhibition Fireflies in the Night Take Wing, Stavros Niarchos Foundation Cultural Center, Athens, Greece, 2016. Artistic Director: Robert Storr Curators: Barbara London, Kalliopi Minioudaki, Francesca Pietropaolo.